Download Success Mirror of December 2017 month. 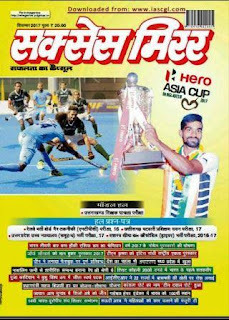 Current Affair Magazine in Hindi. This pdf contain current affairs of the month. Very useful magazine in exam, covering all current affair articles. This pdf is in Hindi language.